You are at:Home»Household»Funkaway Life’s Funky Smells! Let’s face it. Life is stinky. From pet odors and stinky feet to musty carpets and kid vomit, it’s not pretty. A few years ago my kids and I took a road trip to Colorado from Indiana. That’s a long drive! About halfway into the trip my 8 year old daughter very suddenly got sick in the backseat. I was driving on a mostly deserted highway in Nowhere, Kansas and it sure didn’t take long for the smell to permeate the entire car. Several miles down the road, we were able to pull off into a gas station to get her cleaned up. However ,my car wasn’t so easy. I did my best to clean up the mess, but the smell persisted throughout the rest of our trip. I really wish I would have had Funkaway back then. This stuff is great! 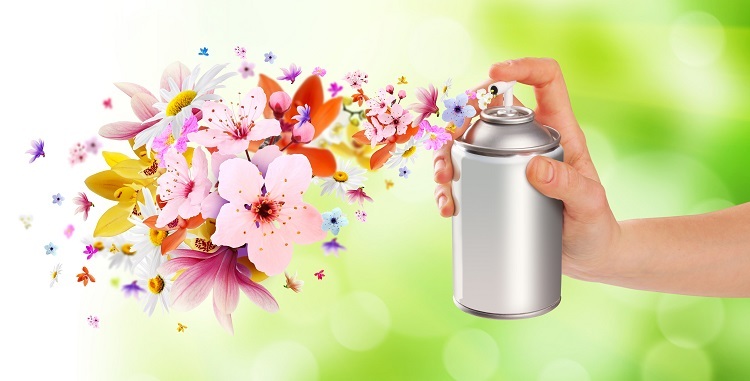 Most odor eliminators don’t actually eliminate the odors, they just temporarily cover them up. Funkaway is different. It uses the OM Complex to scientifically break down the molecules that make up funky odors so that the smell actually goes away instead of coming back a few minutes after you spray. Funkaway can be used on virtually anything. Stinky shoes? Check. Yoga mat? Check. Sports helmets? Check. Rug and carpets and blankets? Check, check and check. Before you leave your house every day, you probably roll on some deodorant before you go, right? Funkaway is like deodorant for your stuff. No fake flowery smells over here. Check out the video below. 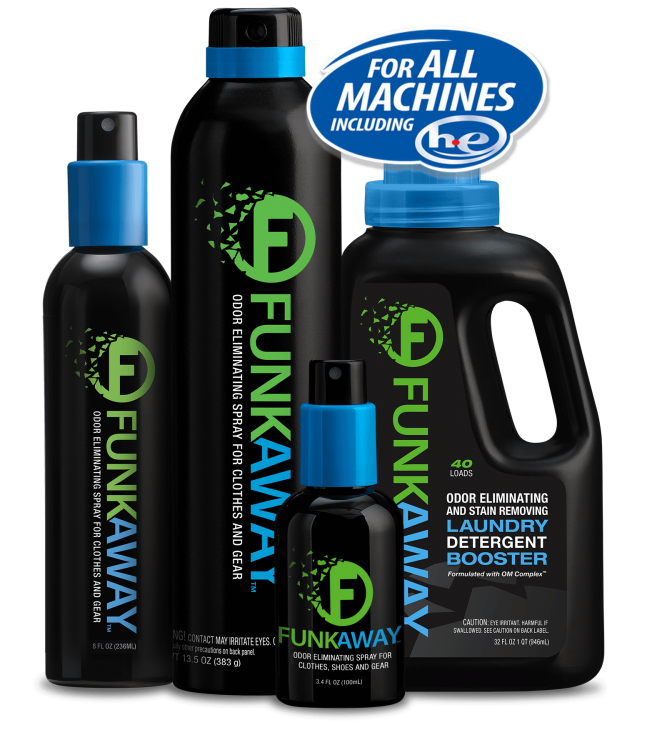 For your convenience, Funkaway is available in a pump, aerosol, and travel size. Life is too short for it to be funky. Order Funkaway today! Available on Funkaway, most Walmart stores and thousands of other stores. I haven’t heard about this product until now. I could really use this in my home. My boys are still young and occasionally spill milk among other things which can create really bad odors especially on the sofa, even after it has been cleaned up. I haven’t heard of this before but it seems like a great product! I like that it’s he so I can use it with my washer. I’ll definitely be looking into it. Thanks for sharing!